There a couple of things that many bloggers can do to drive more search traffic to their site, and are relatively painless and simple to do. For starters make sure you have claimed authorship on your blog. 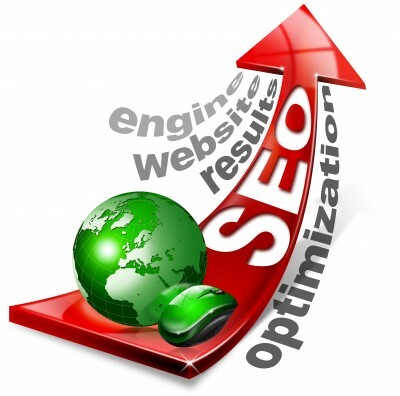 If you need help on doing this task visit this post: https://marketingforthefuturellc.com/2012/10/03/how-to-claim-authorship/ It is a simple 10 minute process that will only continue to play a more prominent role in the future of search marketing and online reputation. Another relatively easy way to drive more traffic to your blog is to install a search engine optimized plugin to make it easy to identify metatags, header titles, posts titles, keywords, etc. One of our favorites is the all in one seo plugin from worpress. Make sure you are making you posts simple to share via the social media sites you want your content shared on. Ie; if you are promoting more photos make sure you have an Pinterest share button and not only a Facebook or Twitter share button within your posts. Always actively participating in legitimate link campaigns that are associated with other high quality websites, you can often find good matches in forums online. If a business partner or friend approaches you with a link exchange request make sure their website is worthy of a link exchange. If it won’t benefit both parties involved in the exchange then forget about it! Always stay up to date with the changes to the algorithm especially Google’s. The most recent update Panda updates are rolling out by the second it seems. Follow @MattCutts for the latest updates on that. Also see below for more info on these updates that are supposed to hit “poor quality” websites. Get audited by a 3rd party SEO expert every 4-6 months to make sure you are staying on top of the latest search marketing and SEO trends. Follow us on Twitter @Mktg4thefuture and Facebook. ‹ It’s Search Marketing, not Search Listing, *&^&$%^!